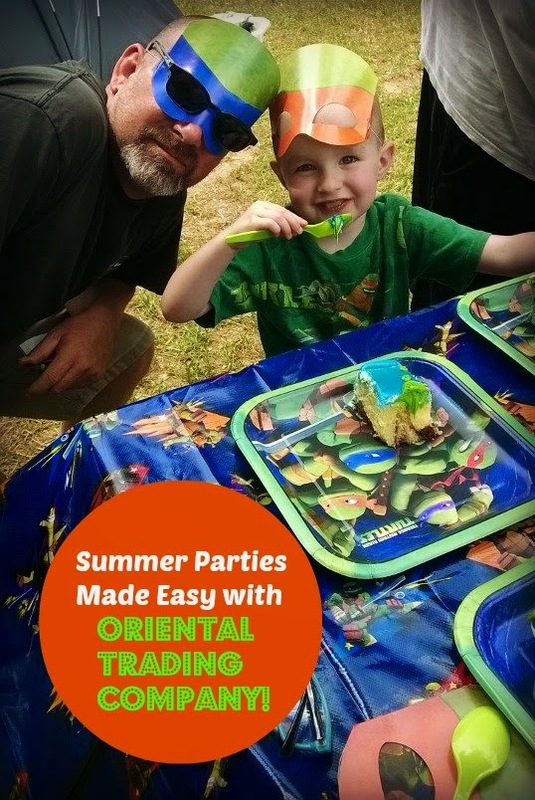 If you have been following this blog for any amount of time, you probably already know that we are HUGE fans of Oriental Trading Company. I turn to them not only when I need party supplies, but for Christmas stocking stuffers, treats for Trick or Treaters at Halloween, school supplies for our homeschooling adventures, and any craft supplies that I might need, when I am feeling crafty. (Which is not too often!) Well, once again, Oriental Trading has saved the day for me and the boys! 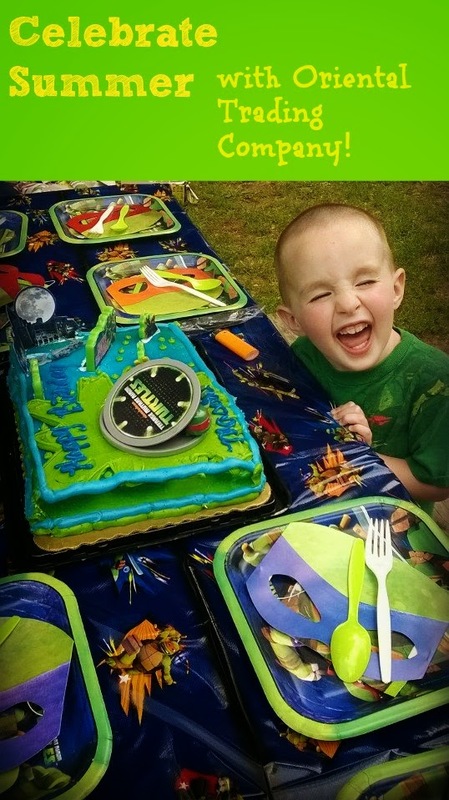 Earlier this month, my little man turned FOUR! Can you believe it? He decided that instead of having a big party for his birthday, he wanted to take a camping trip with me, his brother, his daddy, his aunt and uncle and his older cousin. Sounds easy enough, right? What I didn't anticipate was all of the stuff I would need to do a birthday-party-while-camping! 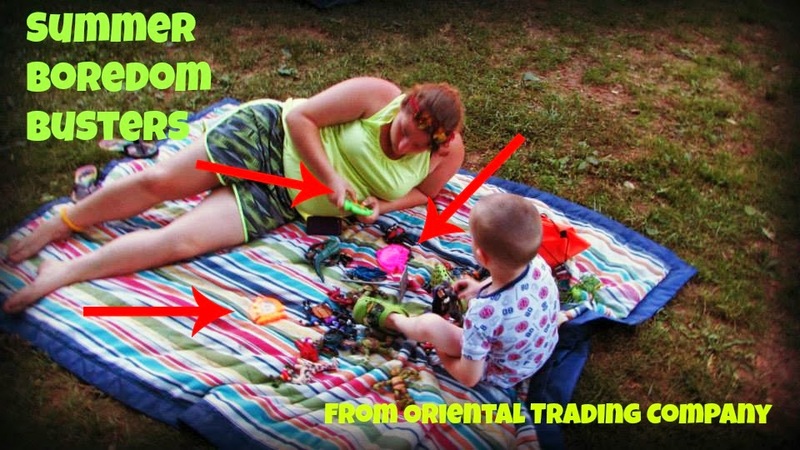 Fortunately, Oriental Trading had everything we needed! 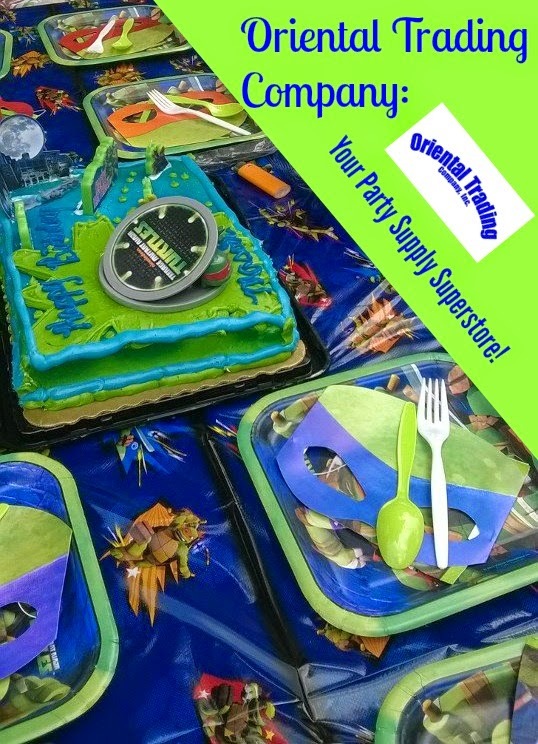 You guys probably already know that we love Ninja Turtles around here, so naturally, we had to have a Ninja Turtles birthday party! We picked up a TMNT table cover, some plates and napkins, and of course, some green silverware. I also picked out some really great TMNT candles for Bean's cake and a few streamers to decorate. My favorite purchase, though, were the TMNT face masks that I picked up to wear to the party! Everything, as usual, was super affordable from Oriental Trading! Because of how affordable Oriental Trading is, I was even able to pick up some extras to make our camping trip a bit more fun! I got a whole pack of giant bubbles, which all the kids LOVED! Even the grown ups got in on the fun with these! Another great purchase were the grenade shaped water bombs (turtle bombs, according to Bean! ), they were so much fun! We just set up a big bucket of water, and the kiddos went crazy on each other! 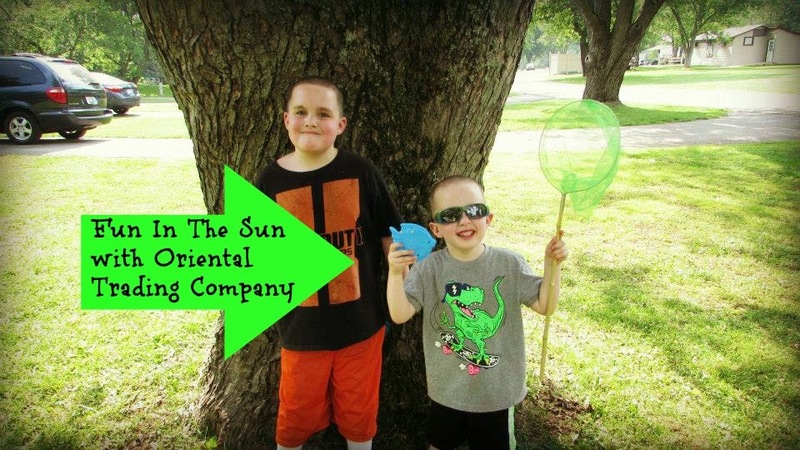 It was so much fun, and a cheap and easy addition to our camping trip! I have to say, however, the best thing that we got this time around from Oriental Trading were a set of small fish shaped water games. You probably remember these games from when you were a kid.. They are filled with water, and you press the buttons to get all the rings on the post? Oh my goodness, the entire family has had a great time with these, even the grown ups! I even caught my 15 year old niece playing with them, and NOT her cell phone! Come on, what's not to love about that!? These were definitely a great purchase, and we will be playing with them for a long time to come! As usual, I have absolutely no complaints about our order from Oriental Trading. Even when I wait until the last minute to order, my order arrives super quickly. The packing is always great, and I have never had a problem with things missing or being broken. I always feel like I am getting a good value for my money when I order from Oriental Trading, and I feel like my money goes further than it would otherwise. I will continue to highly recommend this company forever! They have come through for me once again, and makes being a "fun mom" effortless!! What more could I ask for? Thanks again, Oriental Trading Company! 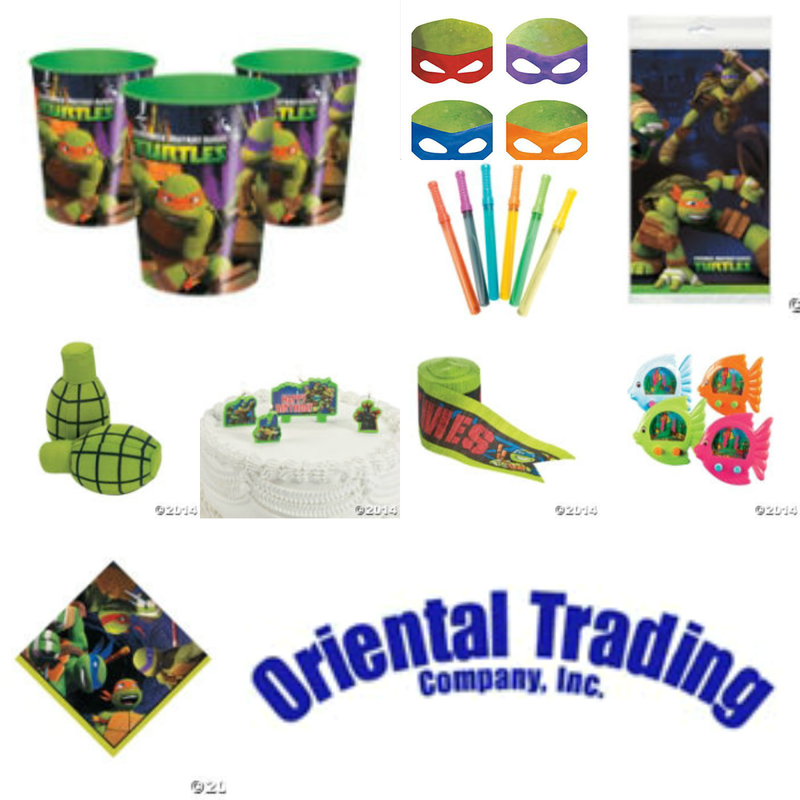 If you want to check out their amazing deals, visit them at http://www.orientaltrading.com/. They are always offering great promotions, like free shipping or other discounts, so you are gonna want to check them out! Also, make sure to like them on Facebook and follow them on Pinterest!